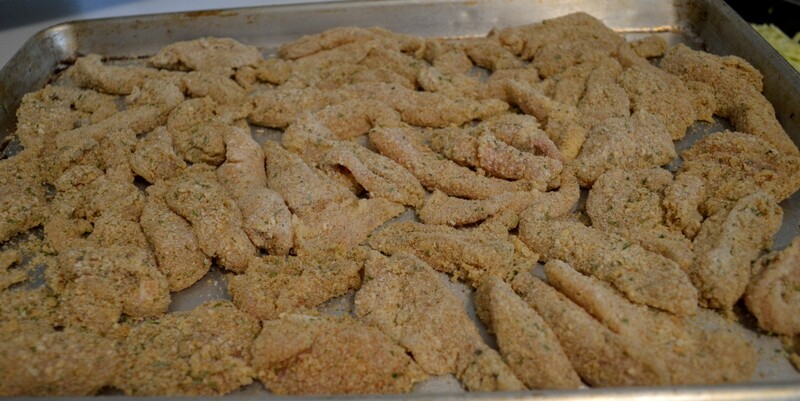 This is one of our favorite recipes for homemade chicken strips. It is easy and delicious! We eat them plain with sauce, in a sandwich, or in salads! I usually make this for 8 people, so this smaller recipe is an estimate on the bread crumbs etc. Whisk eggs with water. 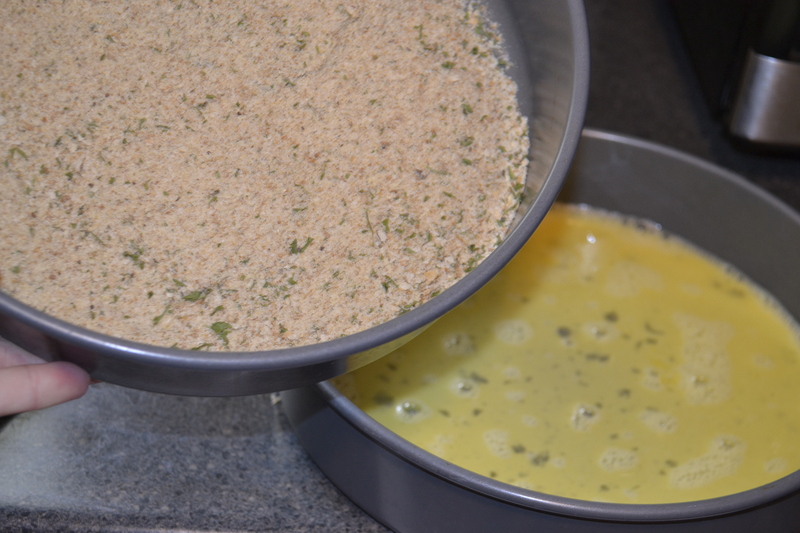 Mix bread crumbs, cheese, oats and salt. 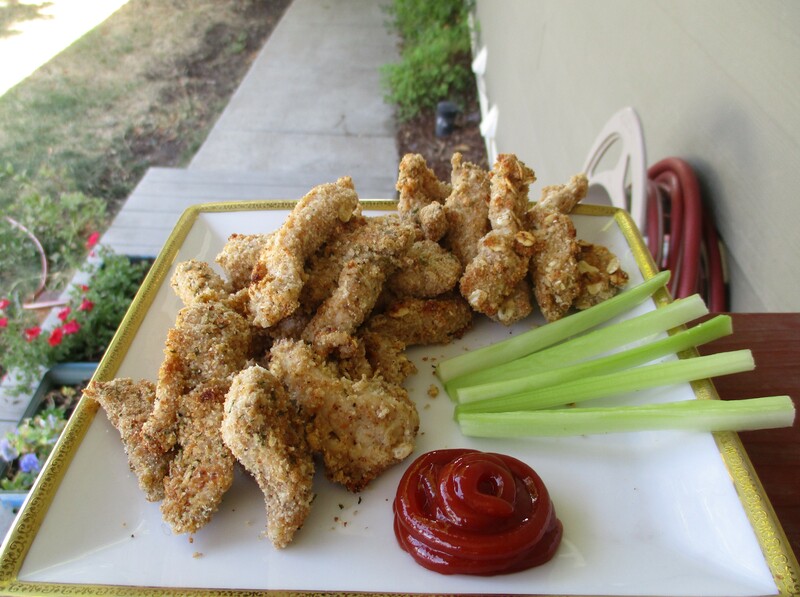 Dip a piece of chicken into eggs and then into bread crumbs. Place on baking sheet and into oven. *Every oven temperature varies, so make sure the chicken is well cooked in the middle as well as outside. According to my oven I bake for 30 minutes and my strips are very thin and end up nice and crispy!